One of my favorite ways to eat avocado is pan-fried. I usually slice 'em in half, season the tops liberally with granulated garlic & sea salt, then lay them face down in a cast-iron skillet with a little melted butter or coconut oil. The avocado becomes warm, softens slightly and forms a thin buttery crust. It's pretty much TO DIE FOR! If you've only ever eaten cold avocado, you must try this method. But even better than pan-fried avocados are stuffed avocados. You can fill avocado halves with a myriad of goodies, but my favorite for the past two years has been avocado boats stuffed with scrambled eggs & bacon. Last week I branched out and used leftover pulled pork (from my slow cooked pork shoulder recipe) and fresh squeezed lime juice instead. I almost drooled on my keyboard thinking about how good they were! 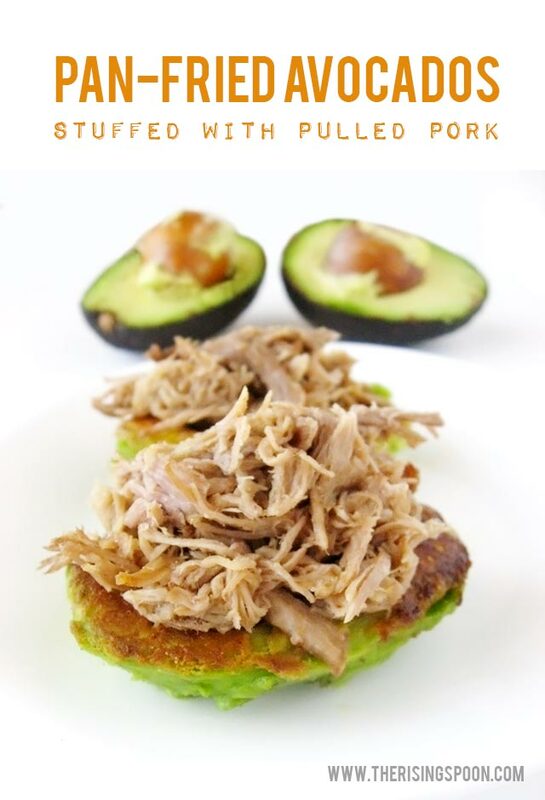 And since carnitas are made from a frugal cut of meat (in this case, pork shoulder) AND avocados happen to be in season, this is an inexpensive way to incorporate protein & healthy fats into your diet. So go make this right meow! 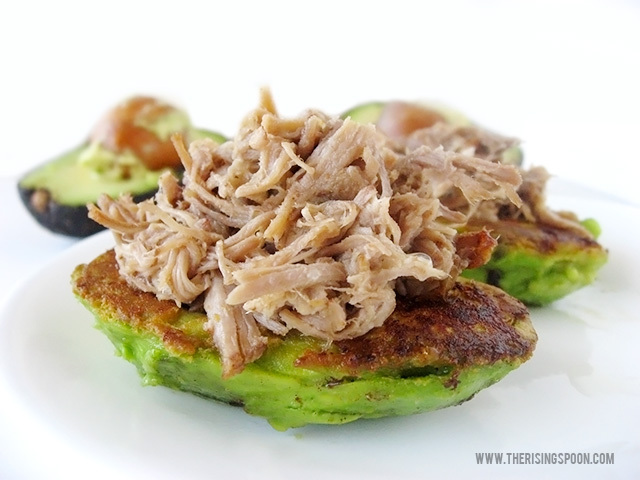 Sliced pan-fried avocado halves stuffed with slow cooked pulled pork and fresh squeezed lime juice. 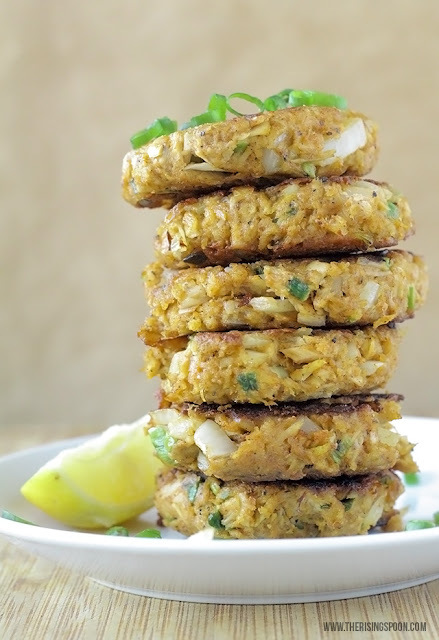 It's a delicious low-carb, high protein dish with healthy fats that you can serve as breakfast, lunch, dinner, or an appetizer. 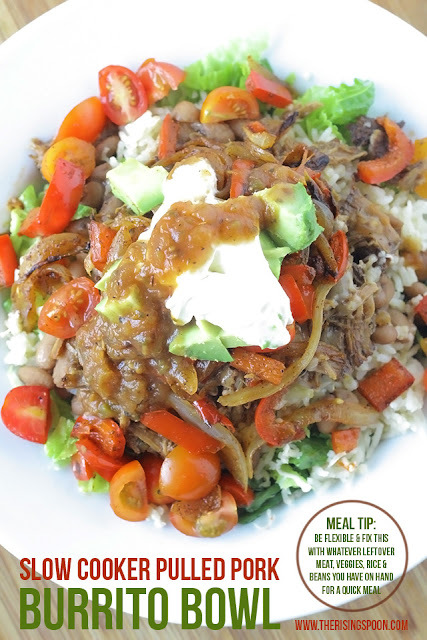 Heat a cast-iron skillet on medium and add the leftover pulled pork. Re-heat for a few minutes in the skillet and when it's warm, remove and set aside. 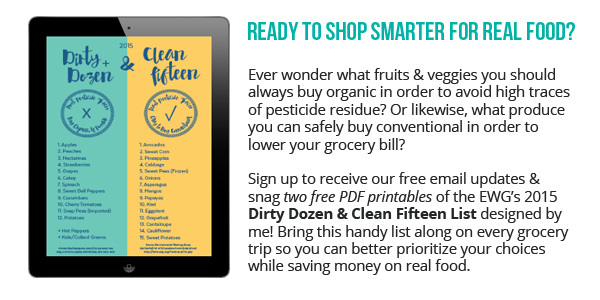 Measure the grass-fed butter or coconut oil into the skillet to melt. Slice the avocados in half lengthwise and discard the skin and pits. Season the tops (flat side) with granulated garlic and sea salt, to taste. Place the avocado halves cut side down in the skillet and cook 3-4 minutes or until a golden crust forms. If you like, you can flip them and cook the other side, but that's completely optional. 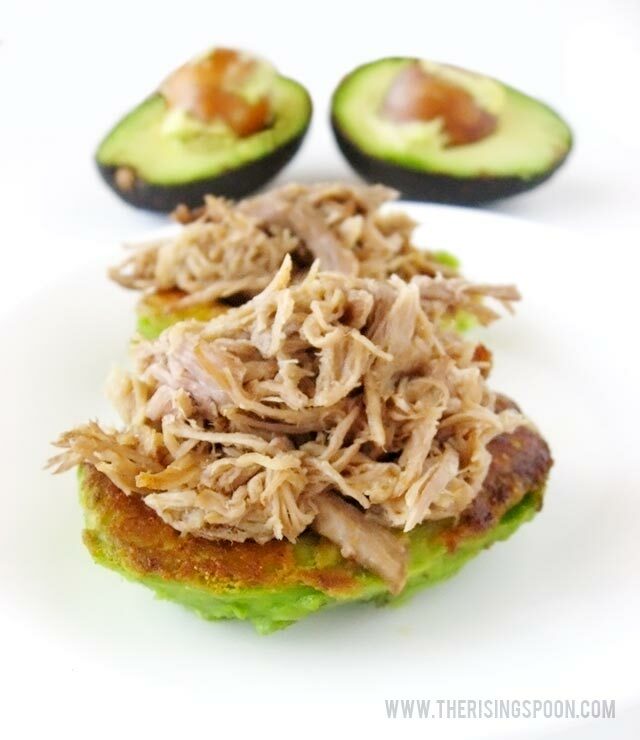 Remove the avocado halves from the skillet and use tongs or a fork to stuff them with pulled pork. 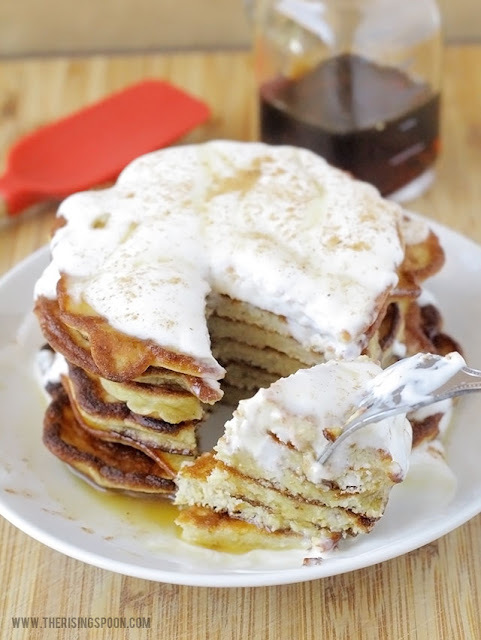 Drizzle the tops with fresh lime juice and serve immediately. What's your favorite way to incorporate avocado in a dish?